It finds that, since the last report in 2016, the global harm reduction response has effectively stalled (view press release here). 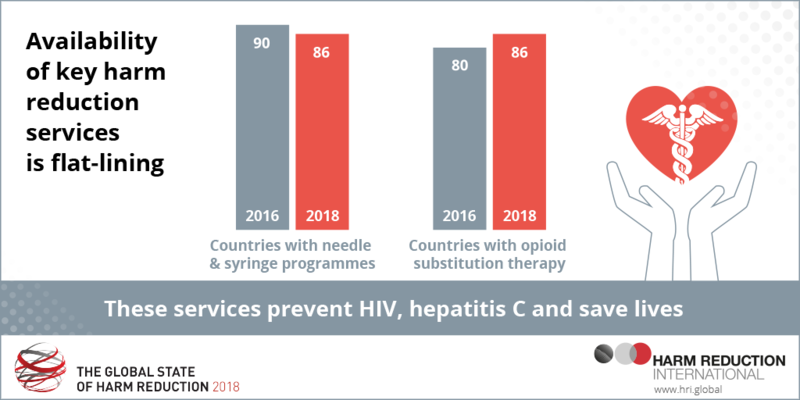 Overdose, HIV and hepatitis C crises continue, among myriad health and social problems related to drug use and drug policy, yet many countries are neglecting them. The number of people who inject drugs and the number of people imprisoned for drug use (where data is available). Needle and syringe programmes (NSP), opioid substitution therapy (OST), HIV and hepatitis C and TB testing and treatment for people who use drugs, in both the community and in prisons. The harm reduction response for people who use amphetamine-type stimulants, cocaine and its derivatives, and new psychoactive substances. Harm reduction for women who use drugs. Drug-related mortality and morbidity and the overdose response, as well as naloxone peer distribution in the community and naloxone provision in prisons. Developments and regressions in funding for harm reduction. Find out about the provision of harm reduction services for women around the world, including the urgent need for scale-up of these services and examples of innovative gender-sensitive programmes. Find out about the different types of drug-checking services and where they are available around the world. 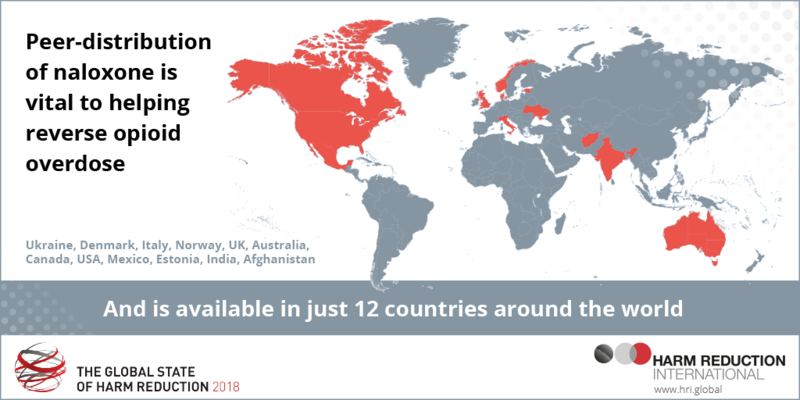 Find out about which countries have drug consumption rooms, the different types of services available and the benefits they bring to public health. Find out about the services available to prevent and treat viral hepatitis among people who use drugs and the work that needs to be done to eliminate the virus by 2030. 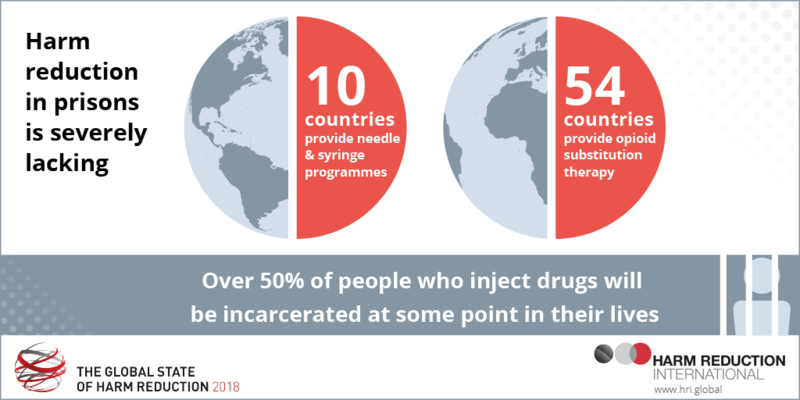 Find out how many countries provide harm reduction services in prison and the significant shortfall there is service provision to meet the needs of incarcerated people who use drugs.